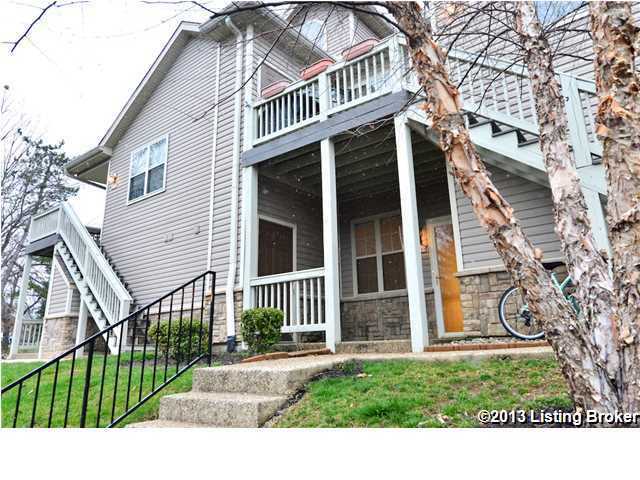 Live in Oldham County in this FIRST Floor, Immaculate Condo with an Open Floor plan! This FHA-approved Condo has new Paint and Carpet and offers the perfect combination of price, location, and condition. The 2 bedroom, 2 full features a spacious eat-in kitchen and large living room. The Master Suite includes a walk-in closet and master bath with dual vanity. There's an outside storage closet and patio for sitting or grilling! Covered carport included! Oldham County's top schools are around the corner. Low monthly maintenance fees. Close to shopping, and expressways. Condo Fee covers Water, Sewer, Trash, Ext. Maintenance, Snow Removal, Master Ins, Grounds Keeping. Direction: US-42 to Ridgemoor Dr., immediate left into subdivision. Continue straight on Prospect Glen Way to almost the very end Condo on right. Prospect Glen is a subdivision within the city of Prospect, Kentucky. There are currently 0 Homes for Sale within Prospect Glen, with asking prices ranging from $0 to $0. The average list price per square foot of the available inventory in Prospect Glen is $0, which is the Prospect average of $208. The Average Sales price of all sold real estate in this subdivision for the past year is $129,400. Recent comparable homes have been selling for 97.06% of their asking price. Waterfront homes represent of the available Prospect Glen inventory. The population of Prospect, according to the 2010 Census, is 4,698. The total number of households in the zip code of Prospect Glen is 6,086, with an average household size for of 2.73 people. The total number of renter households within the zip code of 40059 is 420, which means that 93.10% of households in this zipcode are owner occupant households. 13503 Prospect Glen Way, Prospect KY 40059 is a Condo, with 2 bedrooms which is recently sold, it has 848 sqft, 0 sized lot, and 1 Car Carport parking. A comparable Other, has bedrooms and 0 baths, it was built in and is located at and for sale by its owner at $ 0. This home is located in the city of , in zip code , this County Other, it is in the Subdivision, and GLEN OAKS are nearby neighborhoods.